I decided to give NatureBox a try after reading several reviews and then running across a coupon for $10 off my first order. I opened my first box to discover Mango Almond Bites, Tart and Tangy Fruit Medley (a mix of dried apples and cranberries), Tuscan Summer Mix (a mix of cashews and other savory snack bites), Cherry Crumble Granola, South Pacific Plantains (they look like banana chips) and an intro gift of Cherry Ganache Granola. The first package I opened was the Cherry Ganache Granola due to the chocolate! The same day the box came in I had made a trip to Whole Foods and had a new container of Oikos frozen Greek Yogurt. FYI: the current Whole Foods coupon book has Oikos yogurt for a $1 off. 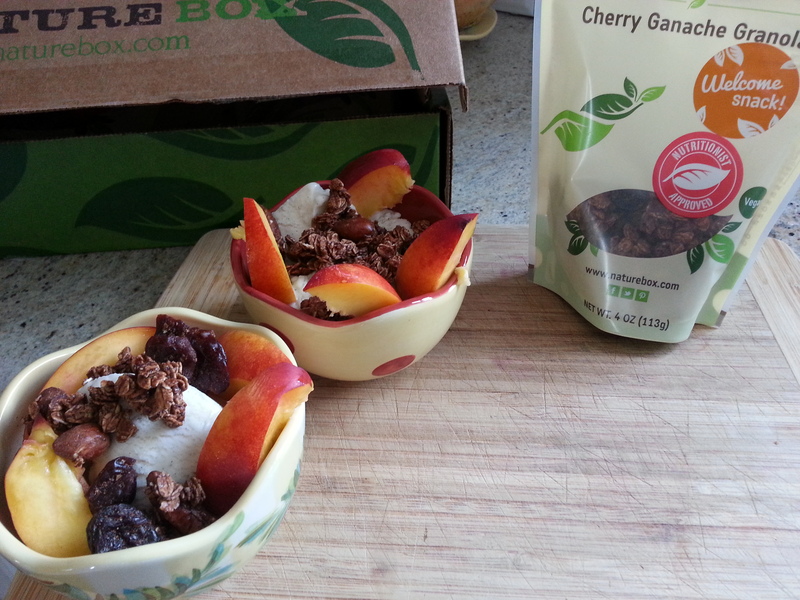 A scoop of the yogurt with a little Cherry Ganache Granola and some sliced nectarines happens to be really yummy!! The granola has large chunks of dried cherries with a granola that has a nice chocolate flavor without being too sweet. If you want to try NatureBox you can also get $10 off your first order clicking this link: fbuy.me/dXWI and using the code: SHARE10 when you place your order. I’m going to keep my monthly order going for a short while to experiment…whether I keep it up depends on how much I feel it’s a good value and if I’m enjoying my delivery options. 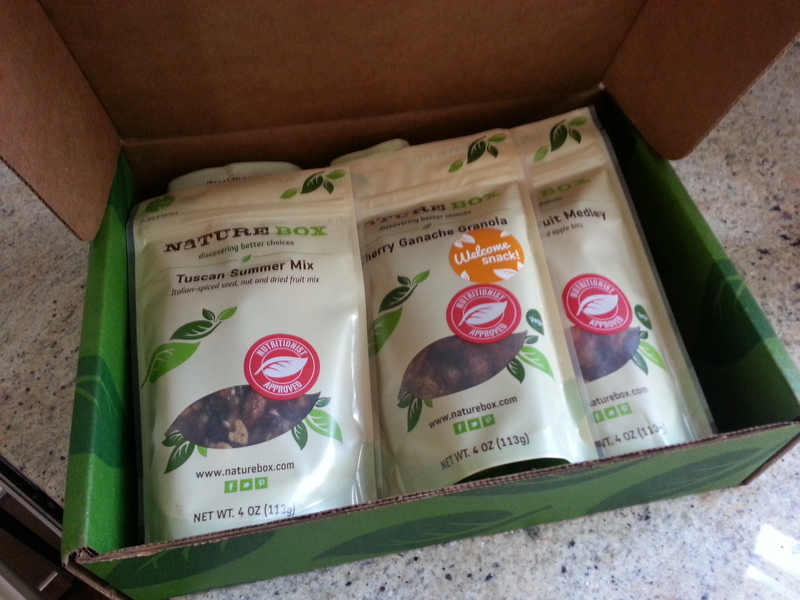 Have you heard about NatureBox or thought about it trying it out?